This is actually part of a homeschool survey conducted by a researcher on homeschooling, which also included an option to submit a 14-day homeschooling diary which I thought was interesting and hence my submission (with some minor editing here). Take a deep breath before you proceed! 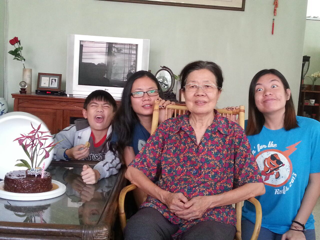 Day 1: Took a train from KL to Ipoh to visit Popo (grandma) on her birthday. Took her out for nice dinner together with uncles, aunt & grand aunt. 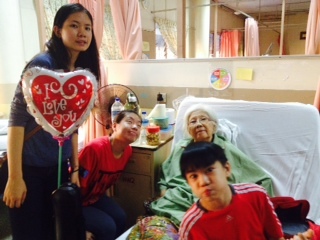 Popo was very surprised but happy to see her 3 grandchildren! Kids got to practice their Chinese with Popo and grandaunt and they were impressed with their progress! After dinner, we came back to KL in uncle Onn’s car. Reached home at about 11pm. 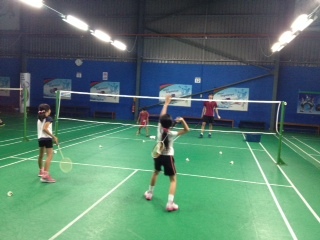 Day 2: badminton for Arian & his Clic friends, Chinese class for Amrita & Sam with their friends. Afternoon- free time at home spent on doing homework, going online and practicing the piano. Evening- aikido class for Arian, ballet for Amrita and hip hop class for Sam. 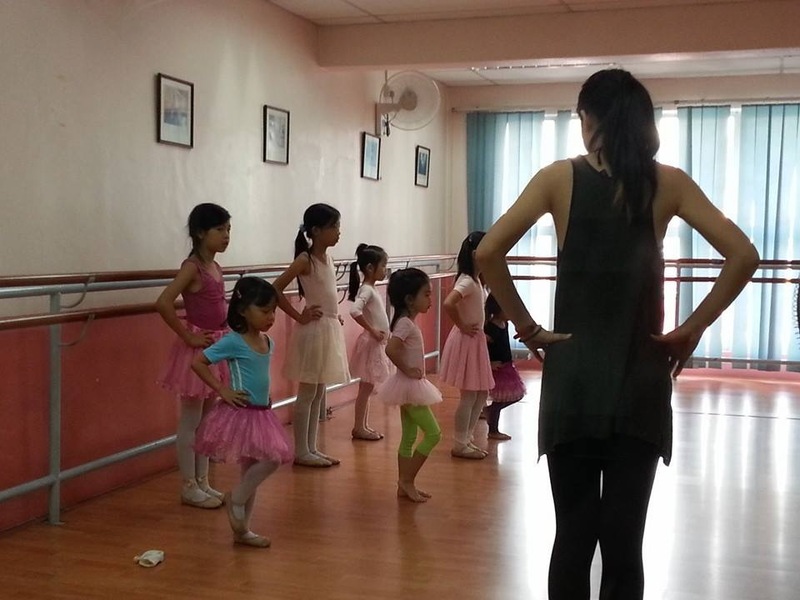 Day 3: morning – Amrita teaching ballet to her students, I teach piano classes to Arian and friends. Afternoon- music rehearsal for piano students. Evening – aikido class for Arian, ballet class for Amrita, hip hop class for Sam. (Their grandma was admitted into hospital for surgery to remove her bladder). Day 4: morning – Amrita was invited to give a talk on her pursuit of her passion at the Digi headquarters. There were many other speakers there, mainly previous fellow winners of Digi Awards. 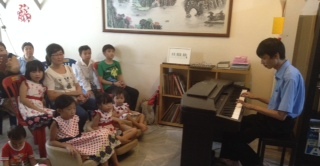 Afternoon – piano recital by my music students. About 10 students performed 3 pieces each and they all did very well! Mr PK Chong of Classical Heritage Singapore (my brother) gave his evaluation of the students. Evening – Aikido class for Arian, ballet for Amrita & hip hop for Sam. (Their grandma went through a 10-hour surgery and was placed in ICU ward after that. The kids did not go because it was strictly no visitors allowed. But we were constantly updated on her condition by grandpa). Day 5: Amrita teaches at the ice-skating rink. Sam had dance rehearsal and Arian stayed home with me. Did reading & homework and played the piano. The rest of his time was spent playing his game cards & watching YouTube videos. Evening – the kids went to Sunway Pyramid to watch the ice-skating competition there. Had dinner together with their daddy there. Day 6: Amrita had skating class & coaching. Afternoon – aikido class for Arian. Amrita had ballet class. Evening – Sam had dance rehearsal. Day 7: morning – ballet class for Amrita, aikido rehearsal for Arian. 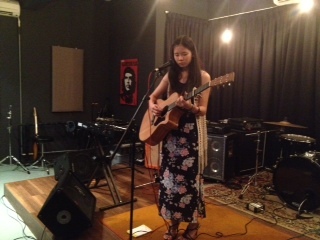 Afternoon – Amrita had a singing performance which we all went for. She performed with flair and confidence – the audience was mesmerized. Evening – we visited grandma at the hospital. She was still in ICU and we could only go in 2 at a time for a short while. Arian could not go in at all as no children were allowed! Evening – had dinner together with grandpa, aunty Chris and cousin Stephanie after our hospital visit. 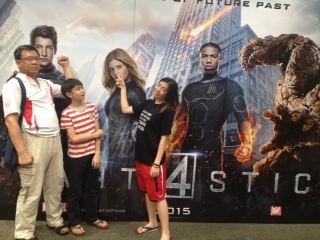 After that we took our kids to watch The Minions at the cinema! Day 8: chilling at home after a crazy weekend! 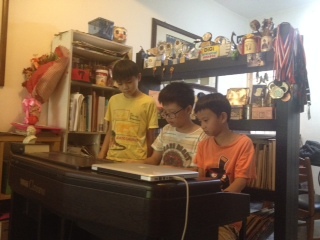 Kids doing their own thing – at the computer, iPad, piano, guitar, etc…..and a little bit of housework & homework (yes we do them periodically!) 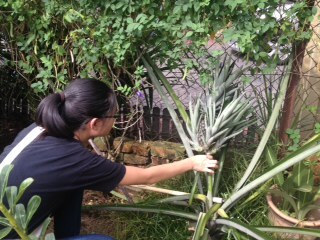 Oh and we harvested our pineapple – actually it’s Sam’s – took almost 3 years to grow and fruit, but that’s another story. Day 9: Morning – Chinese class for Amrita & Sam. Arian went ice-skating with friends. Afternoon- doctor’s appointment at UH for Sam to do a scan on her injured shoulder. After that she and Amrita joined Arian and friends at the skating rink. 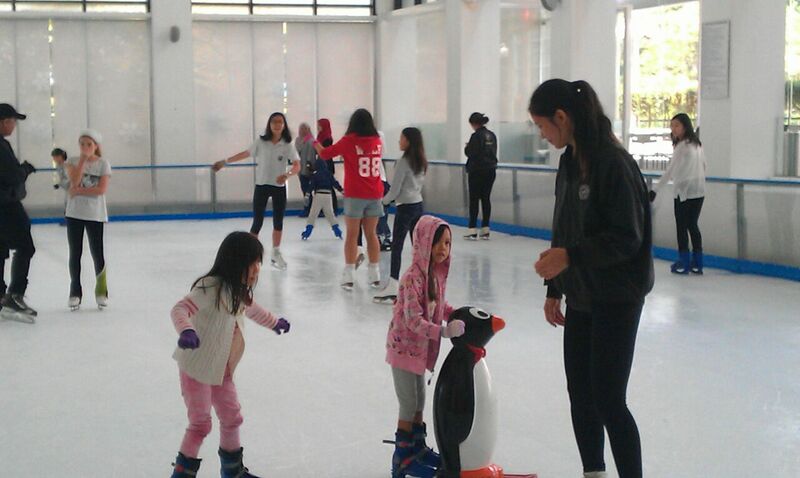 Sam tried out the skates that her friend passed to her – fit like gloves! Evening – aikido class for Arian, ballet class for Amrita and hip hop training for Sam. Day 10: Morning- Amrita taught ballet at the studio while I taught piano at home to my students. Afternoon – Taught a creative writing class to the kids at Clic. Then sent Amrita and her friend for skating rehearsal for a show. Evening – Brought her back for ballet class at dance studio. 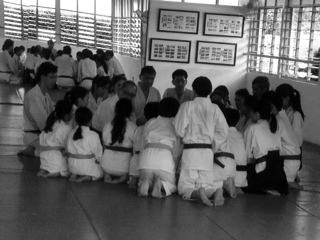 Arian went for aikido class with his friends. 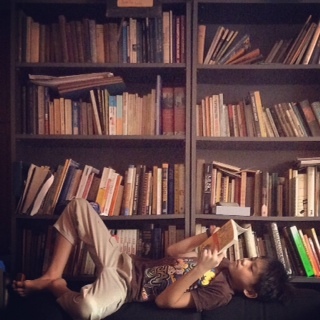 Day 11: Morning – Khan Academy Math with fellow unschoolers at Clic while Amrita taught ballet at a kindergarten. Afternoon- birthday party celebration for June “babies” – played various games with all the kids! Evening – aikido class for Arian and ballet & hip hop for Amrita & Sam. Afternoon- taught a piano student at home and later joined their sister on the ice for their skating classes. Evening – stayed on for dinner there and went home after dinner. Day 13: Morning – Amrita went to the ice rink for class & work while we had dim sum breakfast with papa after his basketball game. Afternoon – Arian went for a card fight tournament with papa while I went shopping with Sam. Picked Amrita from ballet class after her friend dropped her there from the ice rink. Evening- visited grandma at the hospital. She looked well & eager to go home the next day! After the visit, we took a cab to KLCC to go to the bookshop there and had Japanese dinner. Papa picked us up from there after his interfaith buka puasa event. Day 14: Morning- papa took Arian to aikido rehearsal at the Dojo while I sent the girls to the ice rink. 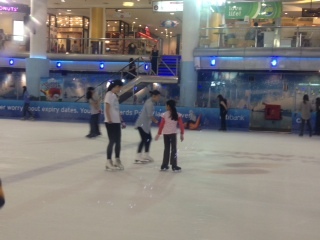 Afternoon – sent Sam for guitar class and from there, back to the ice rink again. Evening- papa went to bring grandma back from the hospital. After which we drove back to collect Sam and sent her for a meet up with her friends. Amrita attended a concert at Bentley auditorium with her friends. Arian stayed back with grandma and grandpa until we came home at midnight to pick him up. What a long day it had been! And that is our 14-day diary entry of our passion-led life! It is definitely not a typical family life that one is used to. But when one puts passion before predictability, this is what you will get! It may not be everyone’s cup of tea, but it suits us fine 🙂 As long as we have the stamina to keep this up!